Tuner | Digital Gauges | Data Logger | Combined with 3x MPT Tunes. What is an nGauge and why do I need one? In short, the nGauge is a highly advanced yet easy to use programmer and data logger that looks good on your dash. 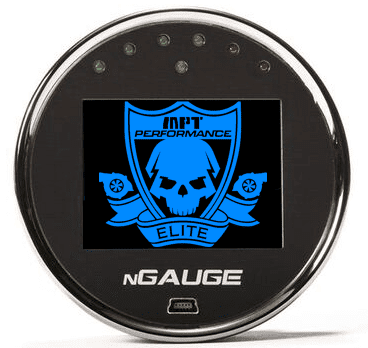 For more detail though, The nGauge Programmer/Gauge combo is an OBD2 electronic device that, when coupled with MPT Tunes, easily gains an increase in horse power, torque and fuel economy for your vehicle. The nGauge can swap MPT tunes in minutes and even return to stock making it 100% reversible. What is different about MPT? It's no lie that tuners work, it's been proven time and time again. Sometimes, they are called programmers, chips, and even downloaders. Their function is to write the new file into the vehicle's computer. The difference you get with MPT is not only the results, it's also the experience. MPT is considered the most trusted and established Ecoboost tuner amoung the F150 community. Guides and answers to questions, helpful tips, time saving instructions. Anybody can sell a blank ngauge to you. MPT does this all day long. You want an expert when dealing with programming your vehicle. Jason: From past experience and from helping to test this tune, I can tell you that you can't do better than MPT. From service to performance and all aspects in between, they're a top shelf company with a top shelf proprietor. I'm still trying to gather the appropriate words to describe how these trucks run with the MPT tune. All I can say for now is that it's, in my opinion and in every aspect, perfect. I've never seen a vehicle respond so well to tuning. Stephen: Installed an Ngauge with an MPT 17 raptor tune. Dammit!!!! This **** is legit guys!!! I've never seen an engine respond so well to tuning, I feel like a need to drive around in 4A or I'm going to need some rear tires soon! MPT has spent a lot of time getting this right and it shows. They had my raptor on the dyno for at least a month, then bought their own 3.5 gen2 f150 to do even more refining. MPT is good at what they do, what can I say. Thanks MPT, this tune made me smile today. What can I expect with an MPT Tuned nGauge? 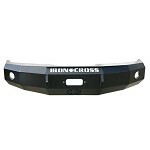 MPT was a pioneer for tuning the Ecoboost F150. We've spent more hours than we'd like to admit on the dyno developing and refining our series of MPT tunes. We've taken our own personal ecoboost truck to the drag strip and raced it. We daily drive our vehicles in order to know the vehicle inside and out. This knowledge has helped us develop MPT tunes that are purpose built with results that will surprise you. Truck feels lighter and is more fun to drive. Increased part throttle and wide open throttle boost. Correct Speedometer for tire and axle changes. What MPT tunes are available for the 2017 - 2019 Raptor Ecoboost 3.5L? PR-X, also known as Performance Race Xtreme, is our top-performance tune for the 2017 - 2019 Ecoboost Trucks. This is by far the preferred tune on this truck due to the ridiculous power gains over stock. The truck feels so much lighter with the increased throttle response and part throttle boost. Wide open throttle boost is increased over stock by +/- 15% which equals out to around 3/5 psi, depending on the rpm. Peak boost is around 20psi +/-. With this tune you are looking at huge increases in low end torque and acceleration, faster 0-60 times, quicker 1/4 mile results, shift points optimized with a focus on performance. The shift points in normal mode will hit all 10 gears, with downshifts tightened up putting you in the right gear at the right time. This means power to the wheels when the driver demands it. Sport Mode and Tow Haul mode retain most all of the positive features from Ford with minor tweaks to improve over all feel. All driving modes drastically improve throttle response and feel, but click to Sport mode and this improvement is multiplied. Sport mode has a noticeable increase in throttle response above that of the already increased base mode. The PR-X tune is only available for premium fuels of 91 octane or better. We do not recommend 87 octane at all, but for those that tune the bare minimum allowed in the truck, you can use the Trans Only tune. Read more in link above. This graph shows 3 stock hits and 1 hit with the MPT 93 PR-X tune loaded. The first stock hit showing 360hp was on a cool engine before heat soak. The next stock hit was near the end of the day and the power was so low that we decided to do another stock hit and make sure it was correct. The power resulted even lower. After this, we re-installed the MPT 93 PR-X tune and were very impressed that even in these brutal temperatures the truck gained so much power. How does the process work? How do I get my MPT tunes? Make your purchase. The N-Gauge will be shipped out to you with step by step instructions. Submit an MPT Tune Form, uploading your stock file when required. Receive your tunes via email. MPT will build the tunes per your request and deliver via email along with important info on how to load and use them. How do I install MPT tunes from nGauge to the vehicle? How do I mount the nGauge in the vehicle? 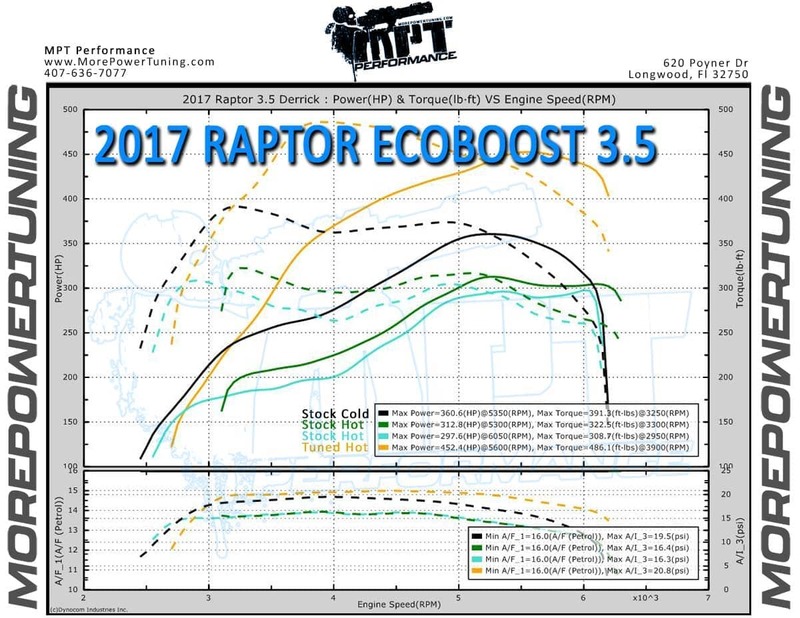 Want to read more about MPT tuning the Ford Ecoboost Vehicles? 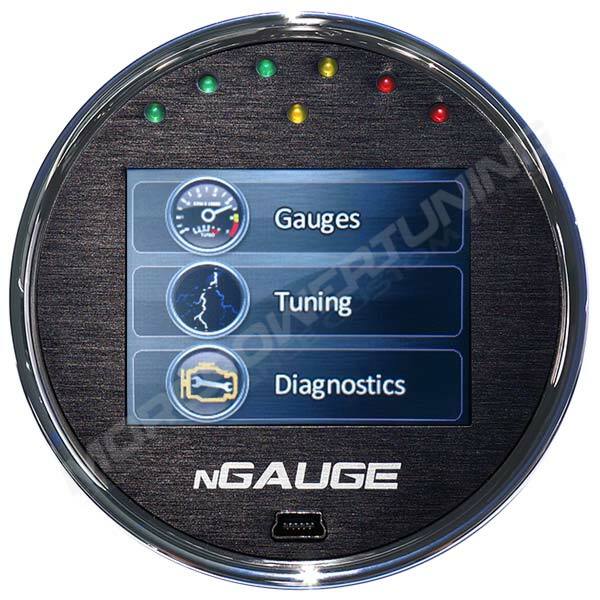 Built in gauge functions allow the nGauge to display up to 6 parameters at once. 6 Programmable LED's function with gauge parameters as warning and limit lights. Multiple gauge layout options for viewing different parameters. Hundreds of high-resolution parameters available to display. Data logging will auto-save when you stop logging, or even if power is lost. Recorded log files are saved to the MicroSD card to allow easy transfer and emailing. Will hold dozens of MPT tune files if you ever find the need for more than just a few. First tune loads in just a few minutes. Subsequent tunes can be loaded in less than 1 minute. 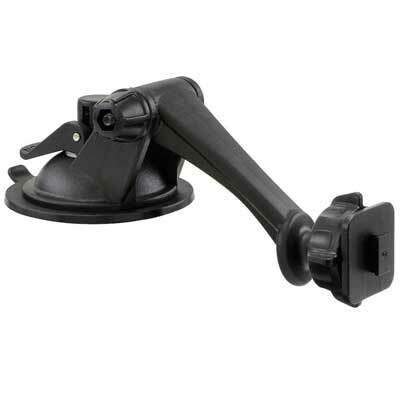 Included Stylus allows easy use of the touch screen while installed in your vehicle. 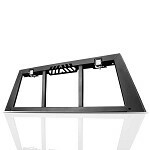 Gauge form factor allows easy install and mounting options. Single-T tab universal mount compatibility. MicroSD card storage for safe and reliable tune transfers. Built-in diagnostics for reading trouble codes from check engine lights. No update software needed, works on mac and pc. Tunes and Firmware Updates are loaded through USB, just drag-and-drop. Auto-Dimming and Auto-Sleep Function works by detecting the vehicle's ignition turning on or off. 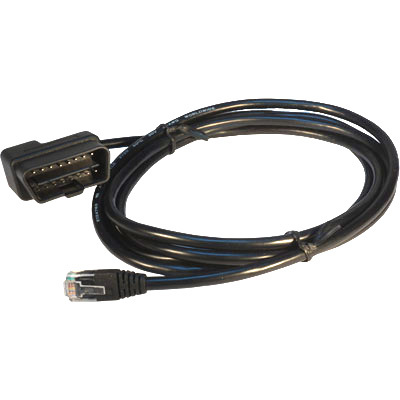 Up to 7 nGuages can be daisy-chained together, as well as support for Zeitronix Wideband, CAN and RS232 expansion Port. External inputs can be connected through 0-5v analog in/out put. Using a thin and compact design, the gauge form-factor of this programmer allows it to be installed on any universal Single T mount, and conveniently fits in many of Ford's circular-shaped air vents. The Brushed Metallic face with Chrome bezel and 6 programmable LED's on the face of the device make for a clean install whether you decide to place it on your dash, window, or in a vent. The included stylus on the resistive LCD touch screen is easy to use for loading tunes, setting up gauges or recording data logs. The stylus serves a dual purpose, as the back end of it is the perfect size to use for ejecting the microSD card from its slot in the bottom of the nGauge. Gauges, Data, and Logging at it's Finest. No need to lug around a laptop for accurate data logging results, the nGauge is capable of high-resolution data logging on-device. Hundreds of parameters are available for each vehicle, as well as plenty of generic OBDII parameters that can be accessed for use with many different makes and models. The data conveniently records directly to the included microSD card automatically, when you stop the data log. Even if power is unexpectedly shut off, the nGauge will automatically save the current data log recording and you can access it at your PC, Mac, or Linux computer just by plugging the nGauge in through USB or loading the microSD card into a card reader, then transferring the file. This is a simple click, drag, and then, drop operation. No additional software to install, no drivers to deal with, no headaches. Up to 6 individual parameters can be display on-screen at once, with the option to set up a few different layouts with different parameters saved and ready to record as soon as you set them up. Upon initial logging setup, the nGauge will detect the vehicle, save all available parameters specific to that vehicle, and when you decide which ones to view, it will save your gauge setup for when you return to it in the future. A set of 6 programmable LED's on the face of the nGauge serve as warning lights for any of the parameters you choose. Important License and Use Information you need to know. The nGauge uses a license system and becomes locked to the vehicle that is tuned. This locking is based on VIN and Strategy. If the strategy changes, just purchase a $25 tune update and fill out a MPT tune form, make sure to select Existing Tune Update. This will transfer the existing MPT Tunes to the new strategy. Please realize, this means if the dealership reflashes your vehicle you will need a tune update for the updated strategy. To prevent this, you can request the PCM not be updated when going in for service. This does not cover changing vehicles or changing tunes, which will require purchasing new MPT tunes. The license fee is non-refundable with no exceptions. It becomes non-refundable as soon as the stock file is emailed to MPT. Please, do not buy this product if you are not okay with our sales policy. 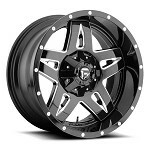 Our Sales Policy Link is located at the bottom of website. This is the best tuner and tune I've ever had. I had a different tune on my first gen Raptor, and this tune, on my second gen Raptor, blows it away. It's a completely different truck now - it fixes the clunky stock 10-speed transmission and turns the truck into a rocket. If you're considering this tuner, just do it. You won't regret it with all the extra power it will make. It'll turn your Raptor into a sexual Tyrannosaurs! Great tuner, does the job! Very impressed with this tuner. Make sure to get the windshield mount as it's nice to see realtime info! Fantastic product. I’ve had 4 Raptors 2 were Roush. This 2018 with MPT tunes is by far the fastest one yet. The guys at MPT are a class act. Runs great. Very impressive HP gain. Feels like it added 2 more cylinders. OUTSTANDING INCREASE IN TORQUE AND HP! I WOULD HIGHLY RECOMMEND THIS TUNE TO OTHER RAPTOR OWNERS. Absolutely 100% recommend tuning from MPT! Truck runs amazing and shifts perfect! It's amazing what just a tune can do! Great customer service and super fast on getting me the tunes! Ngauge also works great! Thanks again guys! I took a SCT tuner off my gen 2 raptor and replaced it with the MCT and Wagner intercooler. The truck is night and day difference with power, shifting and all around performance. The customer service here was top notch. 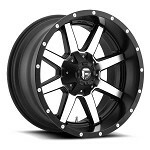 I would recommend them to anyone looking to upgrade their raptor power. Fyi, the SCT tuner made my truck go in limp mode over 85 mph. You would have to pull over and kill the engine for 30 seconds. Almost got killed many tines, no problems at all with the MPT tuner, I hen 10k mikes on it. Thank you MPT! The MPT tune really awakens the Raptor! The throttle feel is perfect, the truck gets up and goes effortlessly, and the transmission shifts are so much better! Woke my truck up! Unbelievable performance for the money! I'll share out of my Coumty in Arkansas I've got the fastest Raptor in Northwest Arkansas!!! I've tried a tune previously from another company but frankly speaking this one is much better. Performance is outstanding and noticeable. just wanted to say to anyone thats on the fence on wether they should do a tune , or decide which one is better than the other, ive done my research , and choice MPT. and i couldnt be more happier! the 91 octane map was cool, but me having fast cars i was kinda expecting a bit more lol, i know the truck has heavy stock tires, and my truck is all stock otehr than a filter and this tune, so i tried the e30 map i requested and mixed e85 with 91 and it blew me away on the power difference! just jaw dropping difference lol. everyone that drives it always comes back with a big grin, and damn that thing is fast. the customer service was perfect as well couldnt ask for better, super fast responces and give you want you want super fast. thank you MPT!!!!! by far the best mod for this raptor! Incredible difference to driving feel; like getting a new truck. Very pleased with results. The ngauge and MPT do an excellent job of providing safe, reliable performance improvements. MPT doesn't just give you engine performance, Its a engine/ transmission package that WORKS very well. I have logged about 2200 miles of dirt in west texas and southern new mexico. The raptor is now a 4WD sports car for the dirt. Enjoy my friends. Ngauge works great. MPT tune wakes the raptor up adds a lot of power. Amazing. If you are on the fence... just do it. You won't regret it. I could spend all day talking about it, but you'd be wasting time reading it. Just buy it. You can thank me later. The MPT Tune is insane! This truck is Woke! Tons of power where you need it, transmission is awesome now too. The process was quick and easy. If you're on the fence, pull the trigger and you will be smiling every time you get in the seat like me. I have installed the 91 octane tune and it is really amazing how much better my 2018 Raptor shifts and runs(no turbo-lag).I am thoroughly pleased with this tune. I can't even imagine how the 93 octane tune will run. I don't have 93 octane fuel where I live, but will try it eventually. Thanks for everything! I purchased their n-gauge tuner with 3 tunes for my 2018 Raptor. Holy cow is all I can say about my 93prx tune. It went from a fast truck to a silly fast truck. I can't say enough good things about my tunes or the customer service. I had a lot of questions and they were very patient. Insane power! Most have for my Raptor! Very noticeable improvements throughout the entire power band! 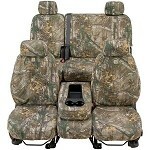 In addition, the truck seems to shift better and there's less 'hunting' between the gears. This is substantially better than the Chipwerks tuner. I have been using MPT since 2013 and have 3 trucks tuned. Their customer service and their unbelievable work ethic will keep me coming back for years to come. The NGauge is a great tool to add to my collection. It’s extremely easy to use, well worth the money. A MUST FOR EVERY GEN 2 RAPTOR OWNER!! This tune from MPT is legit!! If you think your truck is fast now just wait till you let MPT unleash the inner beast! Absolute wizardry here. The truck pulls like a 727 and shifts are sooo much better. Kudos to Mike and his team. Easy installation of the programming on my 2017 Raptor. I have a lot more smooth power and great shifting. I only used the 93 octane PR-X tune and have the 91 PR-X and 93 trailer towing, but I'm sure they will work as well as the 93 PR-X. I installed the NGuage tuner using my lower grab rail bolt and some aluminum stock (it's out of the way, strong and very easy to read). Instructions on how to load MPT tunes. Instructions on how to data log. 60 days of preference based changes. Free forever tune updates on parts purchased through MPT. Free smiles and Raptor lovin'. With a combined tuning experience of nearly two decades, and a focus on individual customer service? the question should be, "Why not MPT?" nGauge Tune License Fee: There is a non-refundable license fee with the purchase of an nGauge tuner with MPT Tunes. This fee is paid for with the purchase and becomes non-refundable when the stock file has been emailed to MPT. Preference based Tune Update Window: The tuning process starts when MPT has sent the first file. We put an extreme amount of time and effort into creating each and every MPT tune. Our tunes include 60 days of preference based updates. After 60 days, preference based tune updates may require a tune update fee.